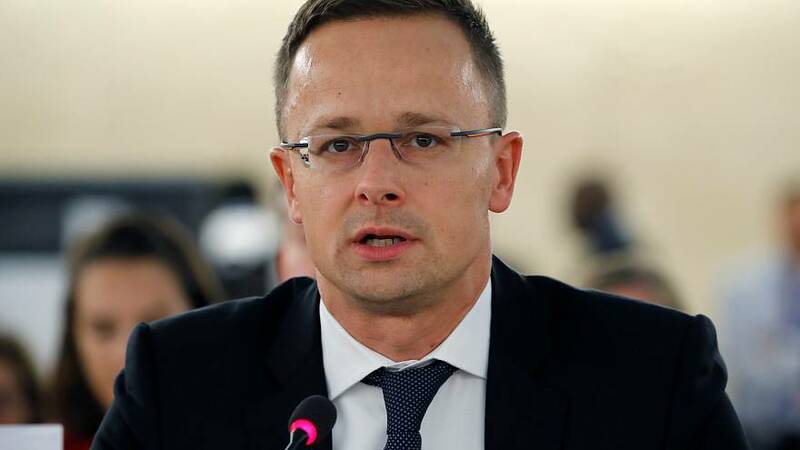 Lawmakers in Hungary have passed a resolution “not to give in to blackmail”, rejecting the conclusion of an EU-approved report claiming their government posed a “systematic threat” to the bloc’s values and calling for sanctions. The resolution — endorsed with 129 MPs in favour, 26 against and 18 abstaining — claimed the Sargentini report attacked decisions made by a democratically-elected parliament and violated the country’s sovereignty. "We reject the slanderous so-called Sargentini report which is nothing more than a lying, pro-immigration hatchet job,” it said. Dutch Green MEP Judith Sargentini drew up the damning report in April, which alleges migrant abuse, failures to meet migration quotas, press freedom restrictions, and claims corruption was being overseen by the Fidesz government. "The time of merely issuing warnings has passed. We need to stand up for the Hungarian people whose rights have been undermined by their government," she said in a video statement. The report, dismissed as “a collection a qualified lies” by Hungarian Foreign Minister Peter Szijjarto, was approved by the European Parliament in Strasbourg last month, triggering a disciplinary process that could lead to Hungary being stripped of its voting rights in the Council of the European Union. The decision may have also had the support of Hungarians at the time, according to the results of a Euronews poll. When asked if Strasbourg MEPs’ endorsement of the so-called Sargentini report was fair, 56% of 800 respondents answered “yes”, while 24% responded “no”.